The ancient Sicilian city is an international tourist destination all year round: millions of tourists visit the old town with medieval buildings, but especially the 'Valley of the Temples'. The historic centre of Agrigento is situated on two hills, Girgenti and Rupe Atenea, and although it would need a deep system retains all the charm of the ancient city. 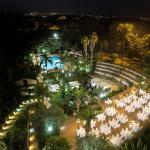 The offer of hotels in Agrigento is wide enough, in solutions from 2 stars to 5 stars. 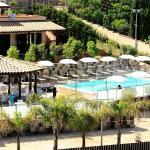 To sleep in Agrigento is possible, but the reservation, especially during periods between April and October is recommended. Select travel dates and find all available hotels in Agrigento, check out guests reviews and locate properties on Agrigento city maps, book your favourite accommodation with no pre-payment. All rates are in Euros and inclusive of all taxes. 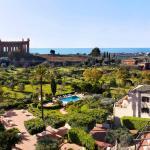 In the heart of the splendid Agrigento, famous for the Valley of the Temples, a stone's throw from Piazza Gallo and the bus station, lies the small bed and breakfast Gellia. Hotel Exclusive is located in the heart of Agrigento, opposite the railway station. Opened in 2010 in a building renovated in modern style, the hotel rises just 400 meters from Via Atenea and the historical centre. 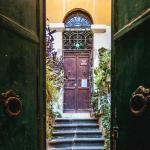 In the heart of Agrigento, housed in an elegant historic building, you will find the B & B Marchese Sala. 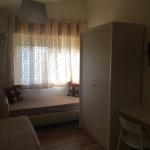 This pleasant hotel offers excellent value for money, buffet breakfast and a convenient parking spot.